Keep all these factors in mind, but I will only focus upon item number one, which is how do you figure out what your customer is doing when they are looking for your services. The following analysis of human search behavior is the first step in developing a world-class website strategy, and impacts the remaining steps. This model has implication for how you develop a content strategy, mark up your website, and the content options you offer consumers. For example, the top three medical specialties are Oncology, Family Practice and Pediatrics. These three clearly present a content opportunity. If you provide the content that consumers are searching for – they will come. 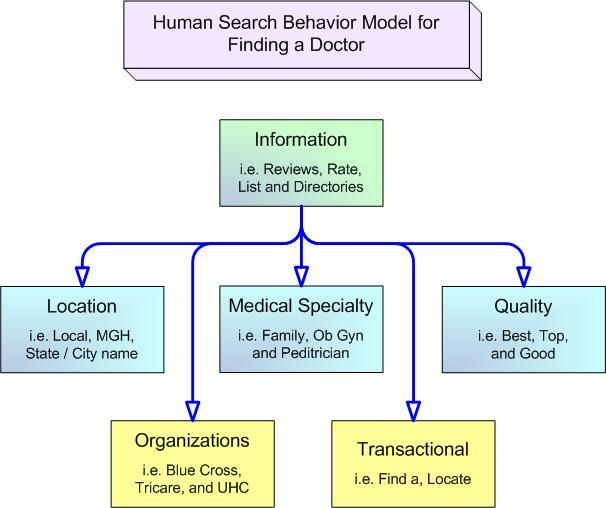 Find out more about my approach to understanding human search behavior (advanced keyword research) – call me now at 781-862-3126 or send me an email at: Mark@MSprague.com.